Was told that this is a 24hrs stall and I decided to check it out since I was around the area. Wasn’t difficult to find them, just have to listen out for ladle-clanging-on-porcelain-bowl sound and you’ll find them. Naturally when I was there, there’s a queue. 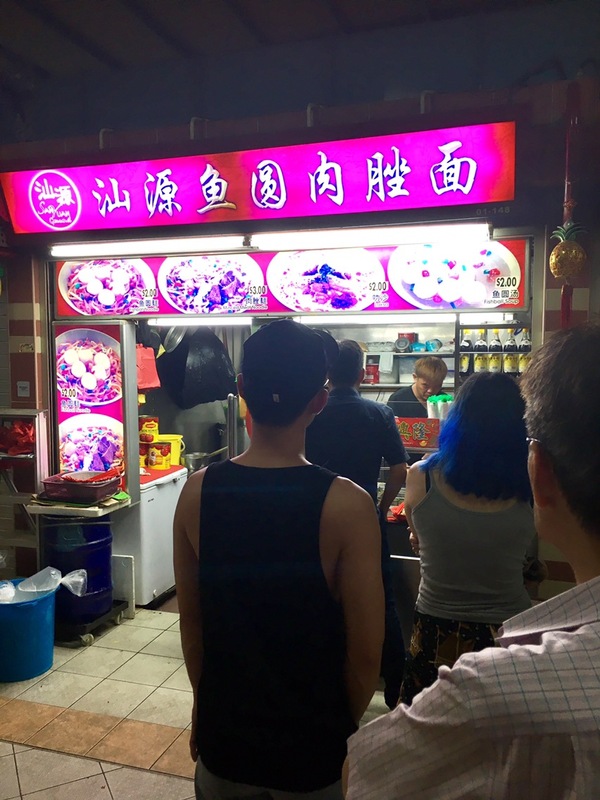 I dunno if the queue was there because the noodles are damn good or it’s because it’s the only noodle stall there 24hrs? Only way is to find out. Interesting they have crispy ikan bilis inside. Adds to the flavours. 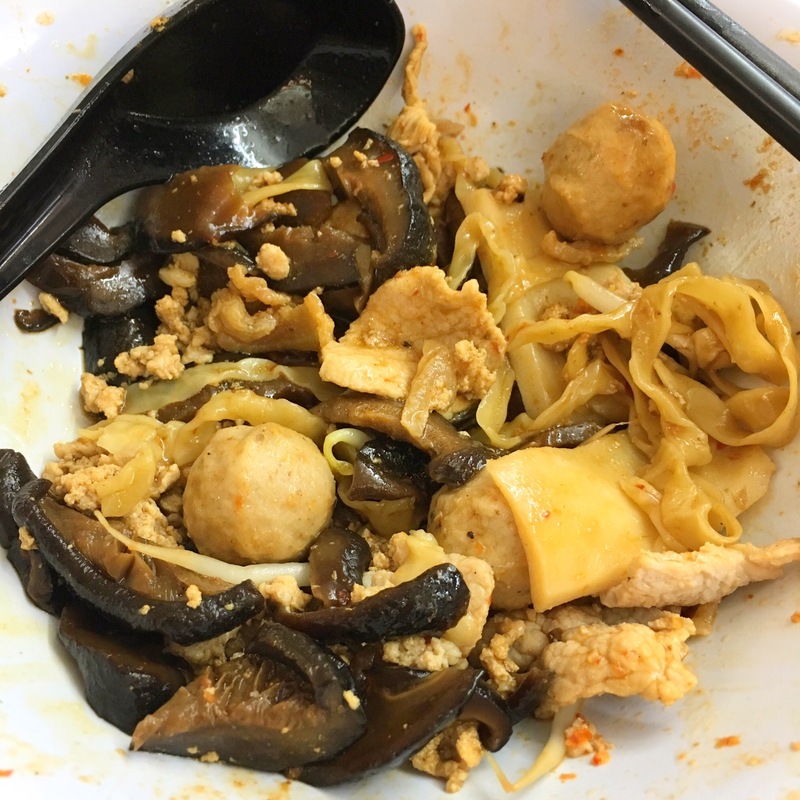 Taste: Really like the taste of the noodles but I found the noodles were a little soggy for me. The pork lard bits were crispy and burst in my mouth. 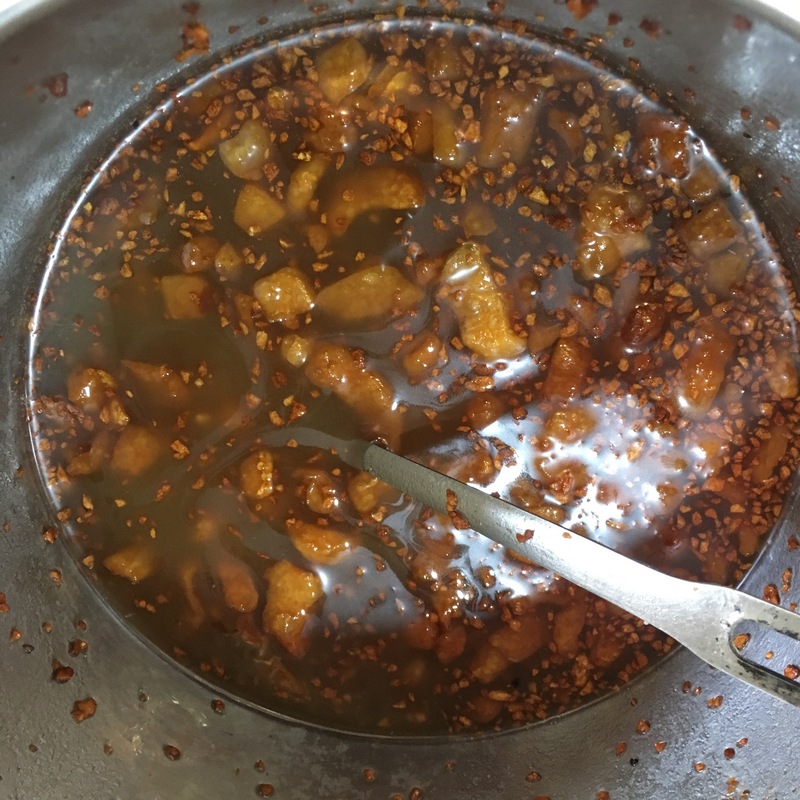 The addition of ikan bilis was a final touch to the whole awesome taste. Pork and liver were very fresh and cooked to perfection without blood sightings. 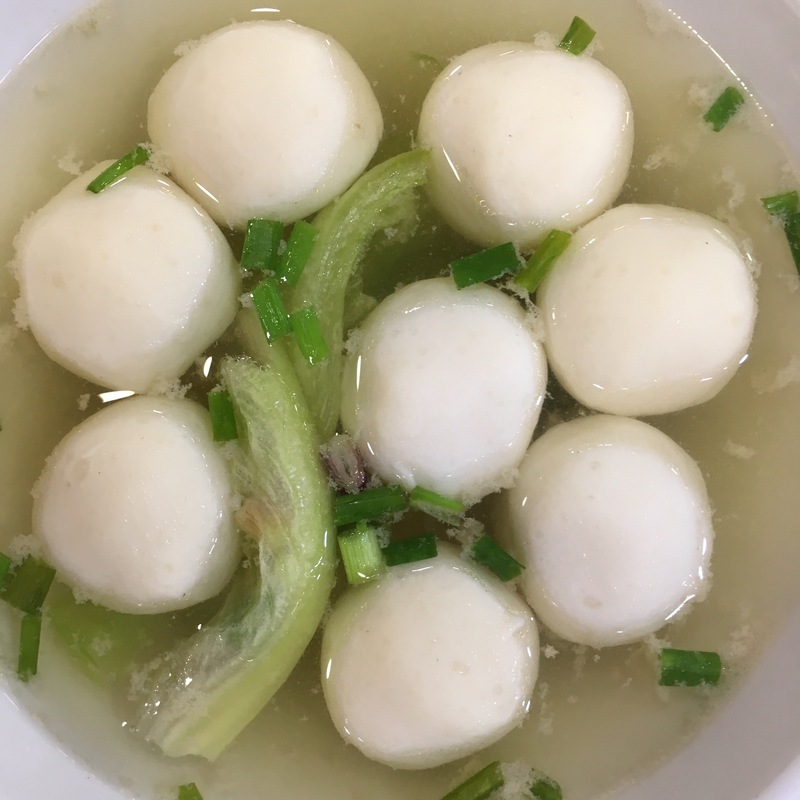 Fishballs were smooth and springy type. Overall was good. 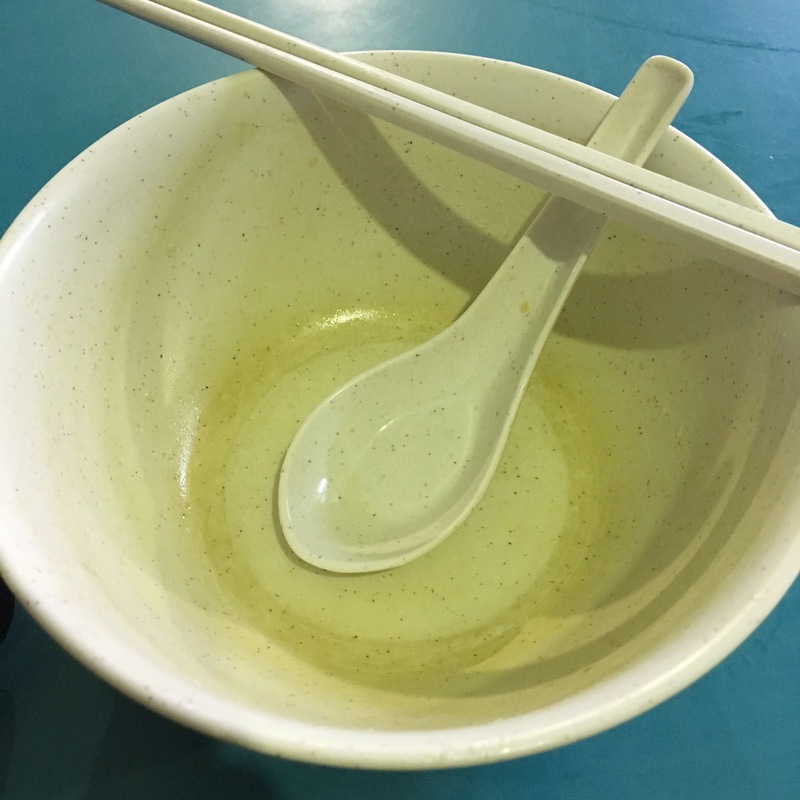 Ambience: Hawker centre, very dim lighting, dirty tables cos no cleaners at night. RTE: I might… cos there’s a 24hrs Giant supermarket and bakery there catered for people like me. Was taking a break the other day and came across this food court. 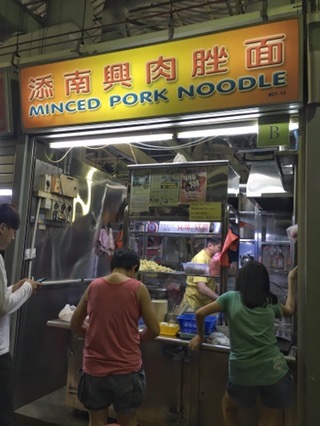 As there were nothing much that interest me, I decide to give this minced pork noodles a try. 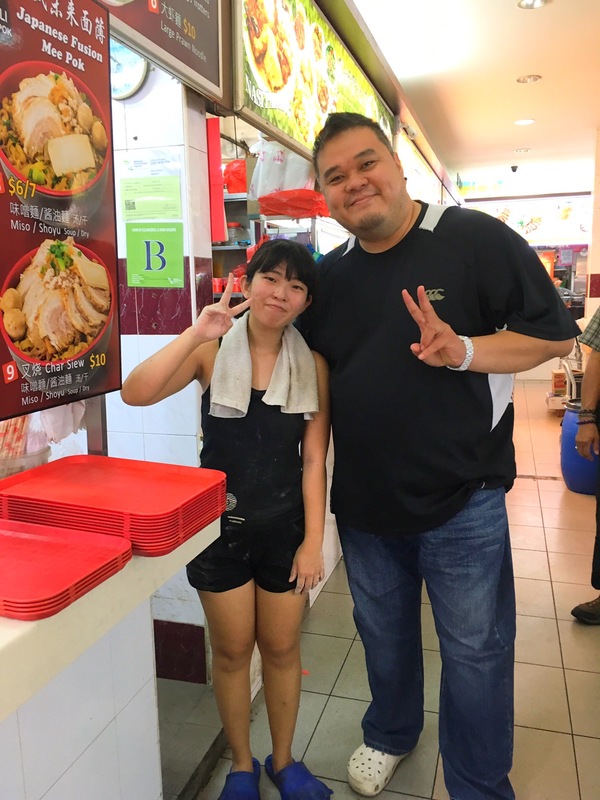 Secret to great tasting noodles! 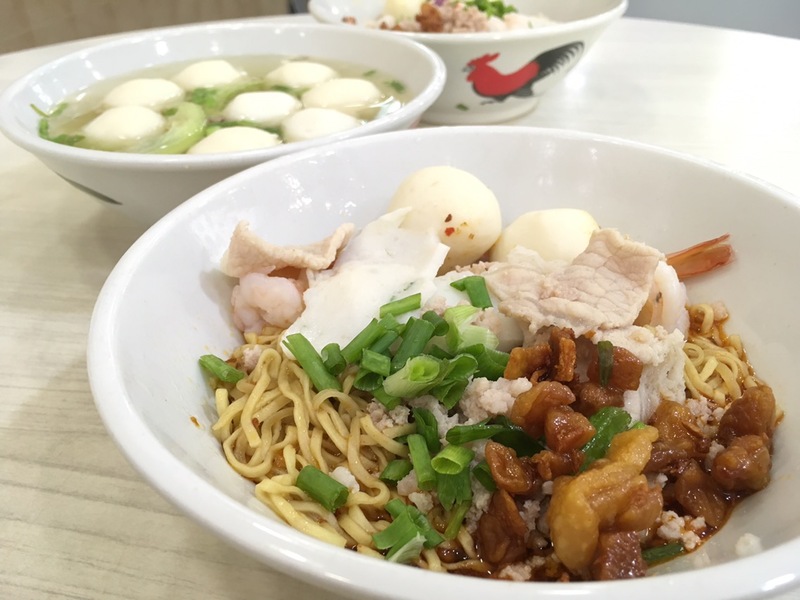 The bowl of goodness comes with 2 very fresh shrimps, sliced fishcake, 2 fishballs, pork slices and pork lard. 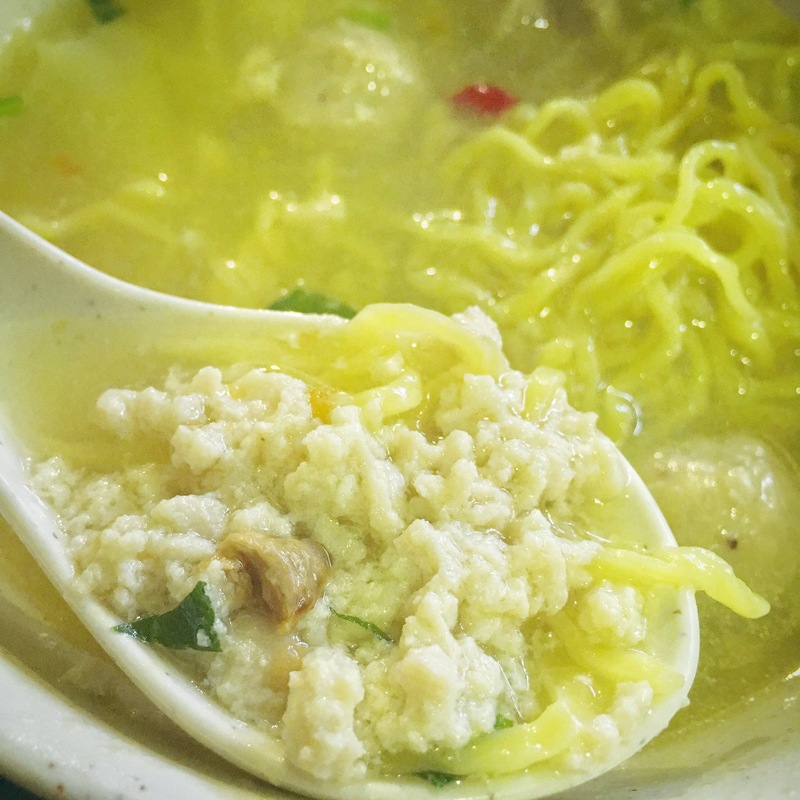 The noodles are very different; eggy, supple, and very yummy. 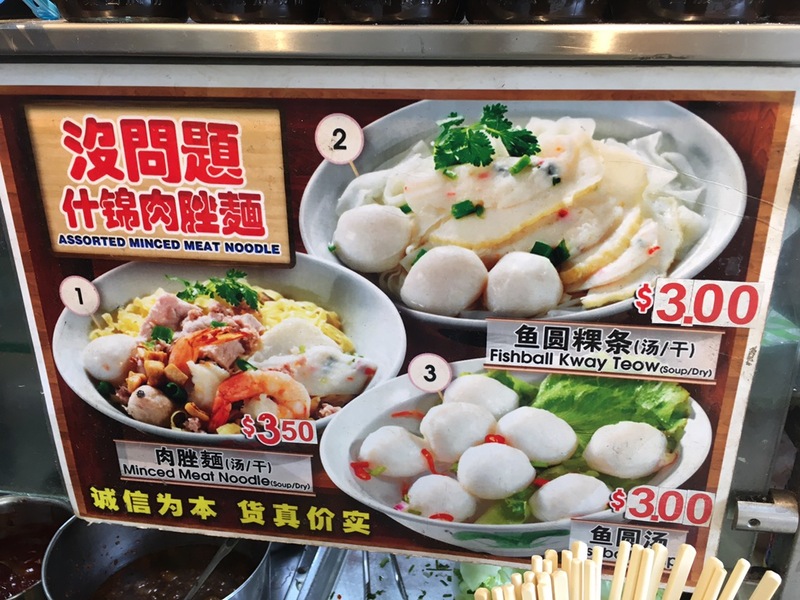 Not your regular alkaline tasting HK noodles. Really love the texture of it! 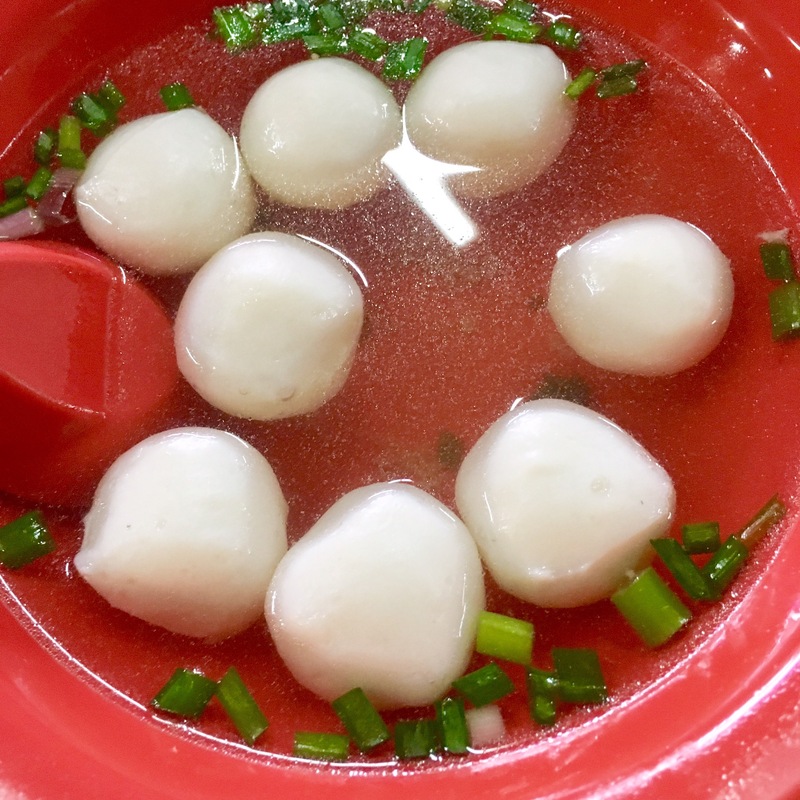 Fishballs are really nice and soft too! 6am to 12pm, 6pm to 12am. 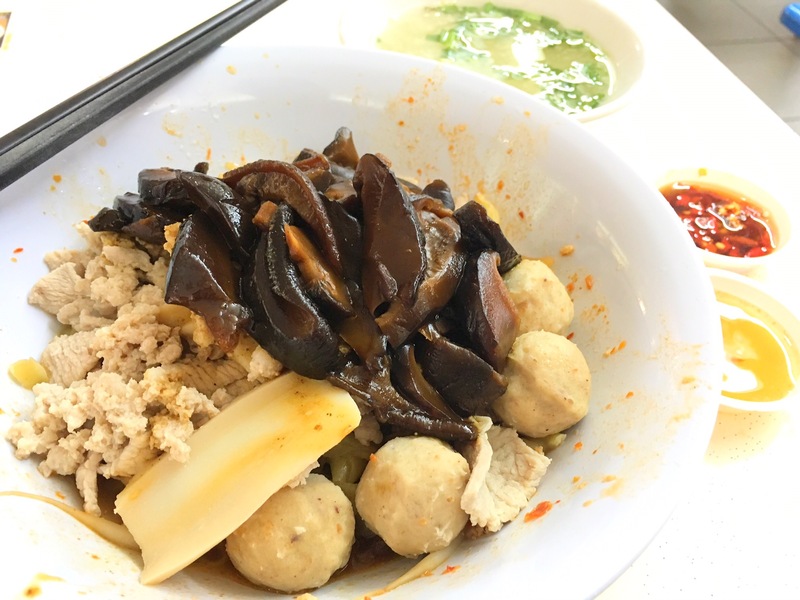 I was told that this Bak Chor Mee stall is better than the ones at Block 85 of Bedok so here I am. See review below. 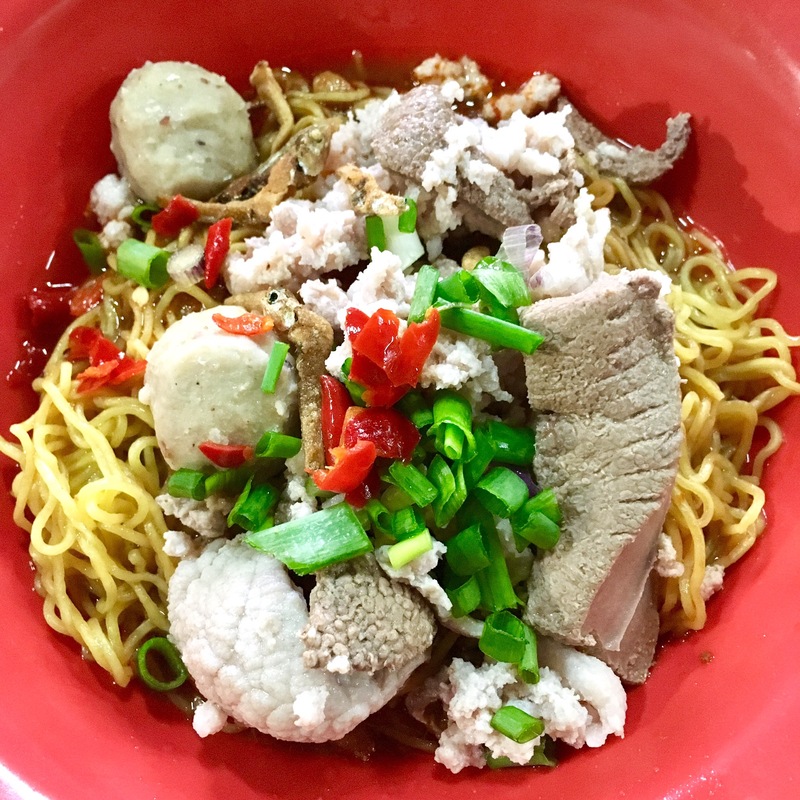 I love the broth, cos the raw minced pork is mixed inside the broth before serving, giving it a very yummy meaty taste to every spoonful. And there are bits of fried bonito (tee por) inside to make the soup even more flavourful. 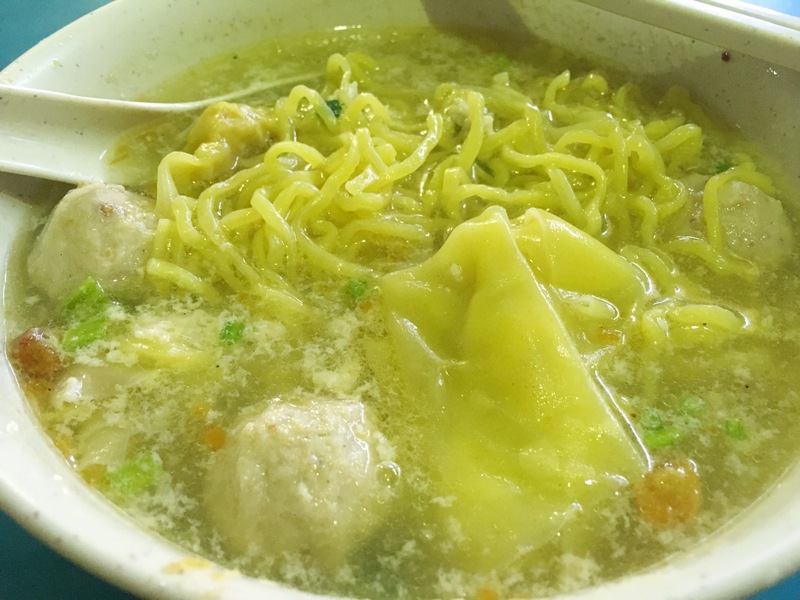 Noodles are springy but not the best of noodles though. Pay and wait to be served. 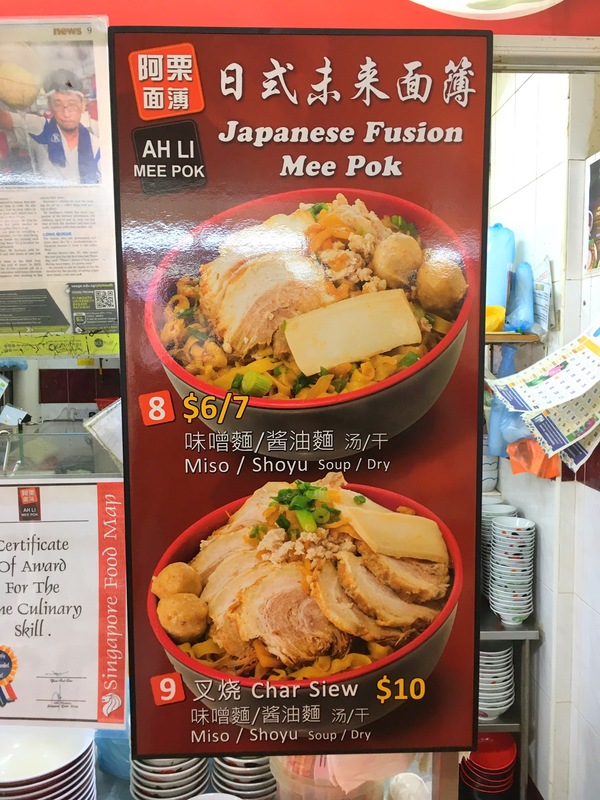 Intro:Read about this interesting Japanese family in Clementi who started partnered with Ah Hoe Mee Pok to open 2 outlets. Going there you’ll definitely need to drive that’s why I only manage to visit them only now thanks to Uber. 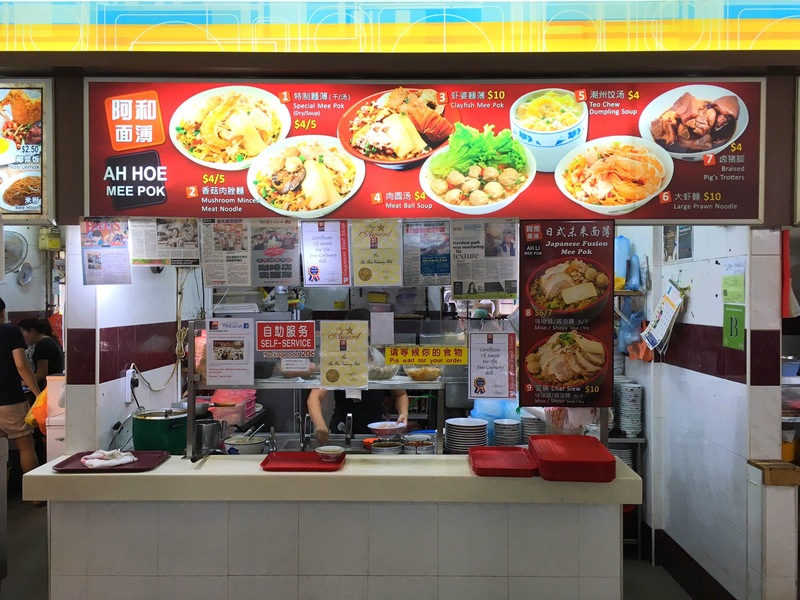 So the story in summary is Father quit from his regular job and decided to learn from the original Ah Hoe Mee Pok owner by working 6 months for free. 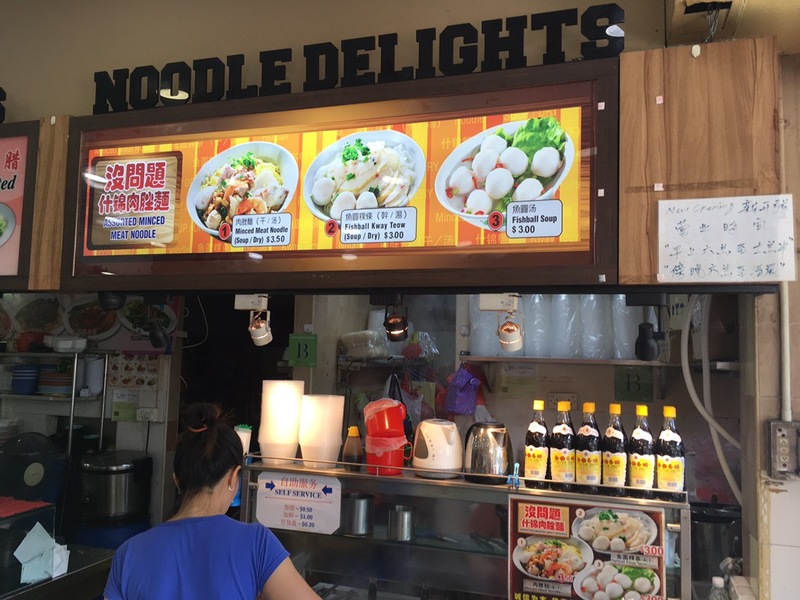 So now they have 2 stalls operating at different hours to cater for their customers. Block 710 is managed by the daughter which opens much earlier and block 713 is managed by the brother while the father now oversees everything. As I only knew about 710, that’s the stall I visited. 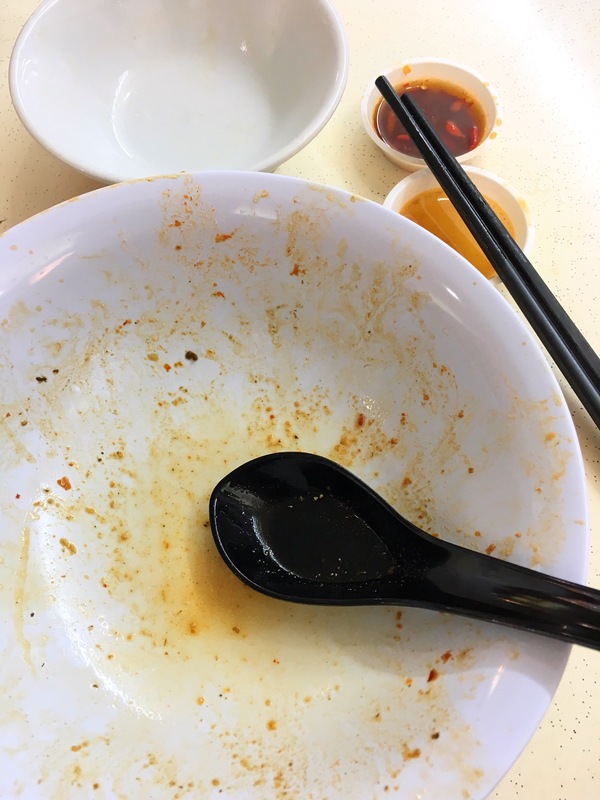 After finishing the noodles still got so much ingredients! 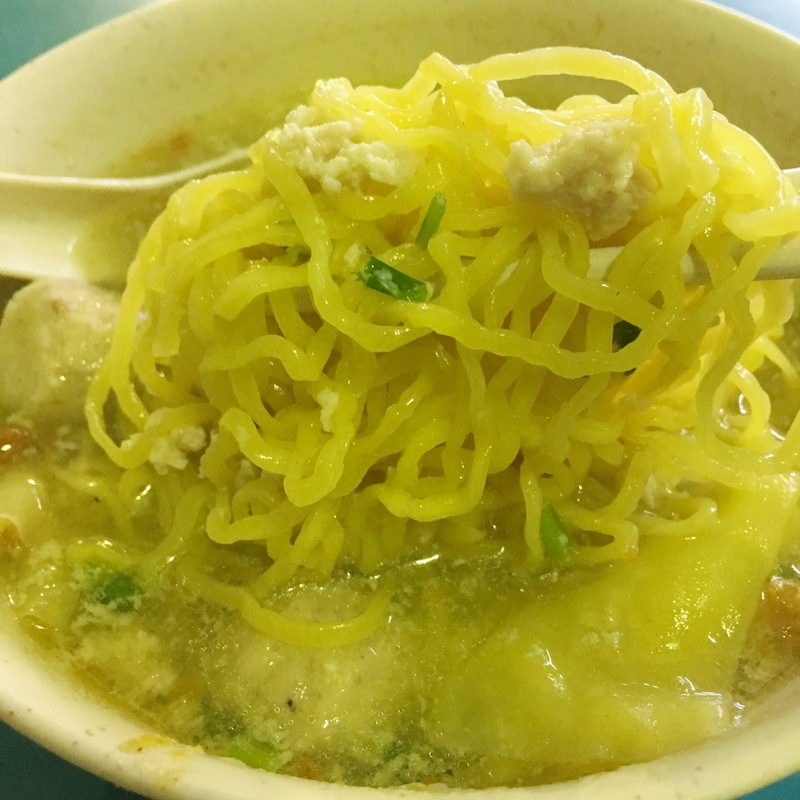 Next time must order extra noodles! 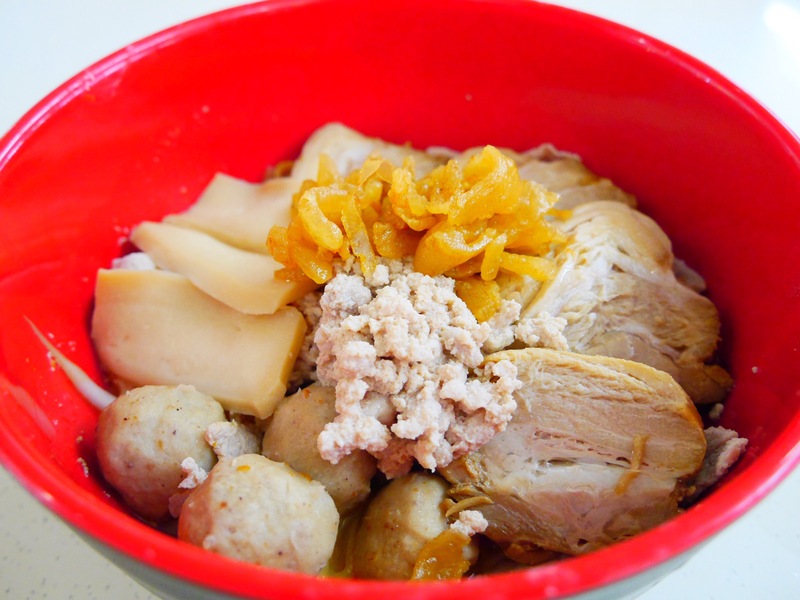 My bowl of Miso Mee Kia. $6. 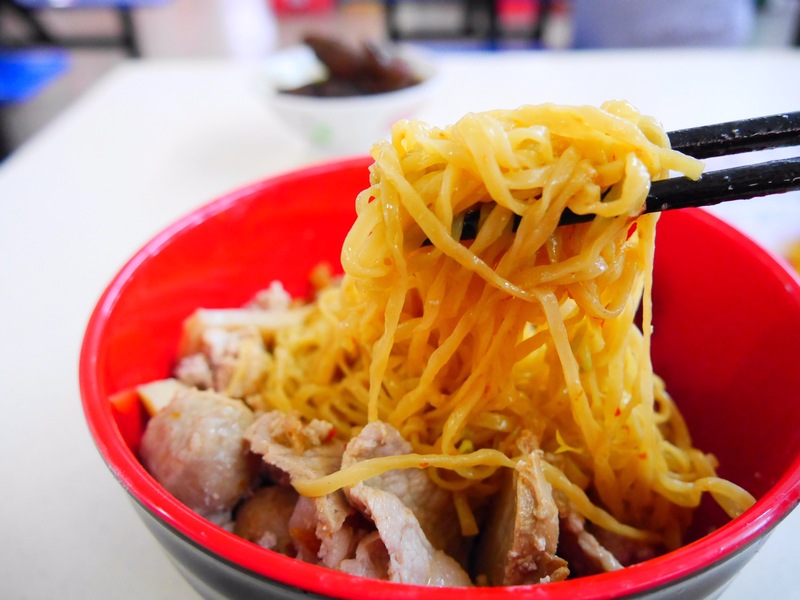 See how the pork lard is finely cut and fried to perfection? Yums! Love how mee kia soaks up the miso sauce. Yums! Reina took this pic with me without knowing who I was. Taste wise is pretty classic. 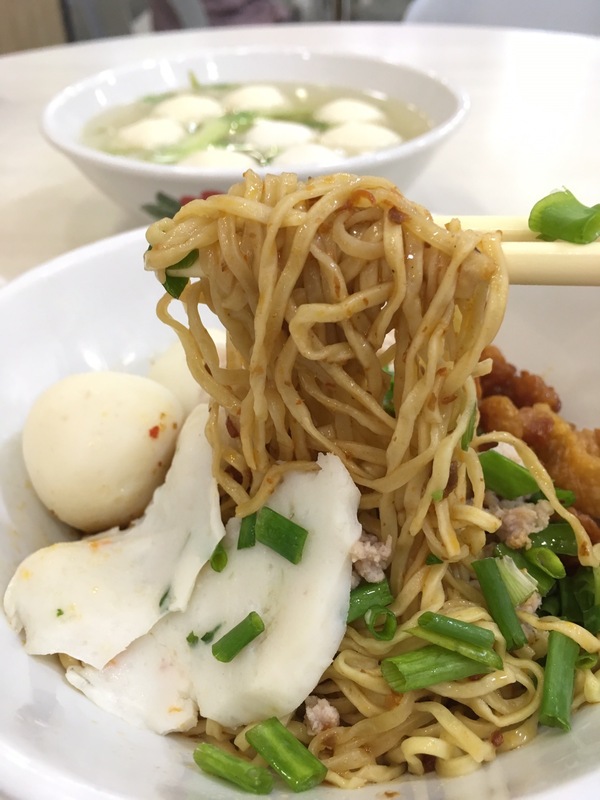 Not really a Mee Pok fan but at least the flavours were there. Would add a little more vinegar for my taste. The miso version which I tried weeks later was really yummy. I chose mee kia this time round and love how the miso sauce soaks up in the noodle. Above average. Noodles standard but ingredients really a lot. See pic. Hours: Opens 6am-2pm, 5pm-9pm. Sat & Sun closed.